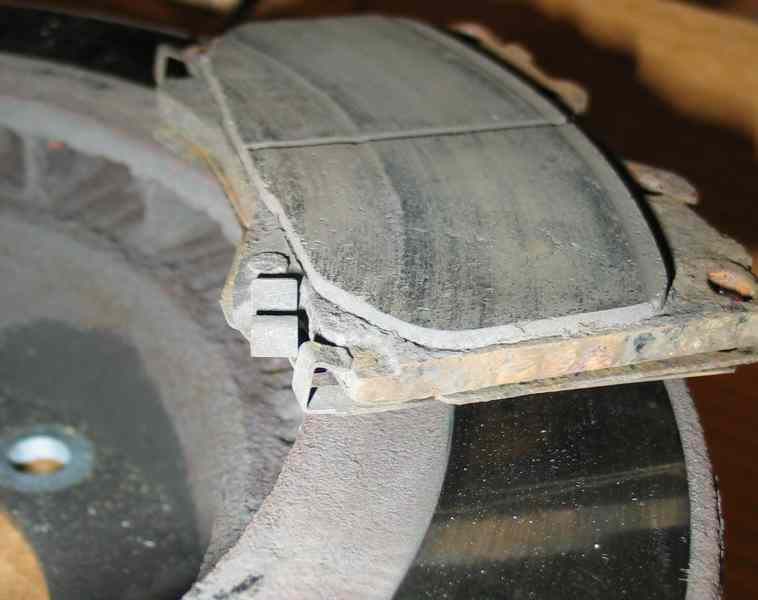 The last remaining problem is a vibration when braking. It is most evident when braking on a smooth road. I suspect a warped brake disk. I'll tackle this one later in the week. Have a look at this pic. No warpage, just not used (hard) enough. The innermost 1/3 of the inside of the disk is all rusty lumps. Visible only when you take the hub off, or the caliper and check carefully. Posted: Fri Sep 07, 2007 23:58 Post subject: Google Ads keep this community free to join! 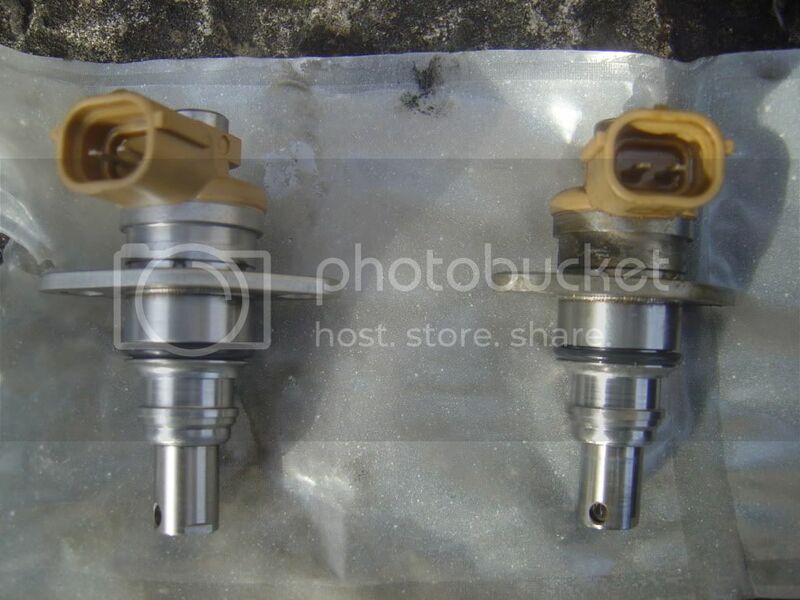 fuel pump soleniod fault ..costly .. search on here for fuel pump solenoid answers are here on this forum .. The old and new timing valve assembly side by side. I have a 1999 Amazon 100 4.2 TD with 110,000 miles. For the past few months there has been a slight leak coming from behind the glove box. The leak is very slight and only appears occassionally. Sometimes overnight the leak causes a fluid to gather on the rubber floor mat. When the liquid finally disappears from the floormat it causes the mat to distort and crack (indicating that the liquid is aggressive). If I rub my hand along the panel under the glovebox the liquid gathers on my hand and can be best described as a diesel smell and texture. The air con and heater units work fine and every attempt to locate the source of the leak have been unsuccessful. Does anybody have any experience or suggestions where I should look next or what I am dealing with. By the way this is a great site. Hi, I have the same year/model GX and had this problem when I purchased her last year. Its the CVR console box valve and you can only get it from the manafacture of the fuel pump which is DENSO part number ZX 096360-0580 and its around £200. My local Toyota dealer got it for me and gave me a 10% discount, they charged me £120 to fit it. Apparently the valve leaks diesel into the loom which slowly creeps up and comes out just behind the glovebox. Since having it done the performance has improved along with the MPG by about 2 MPG. Hopr that helps. 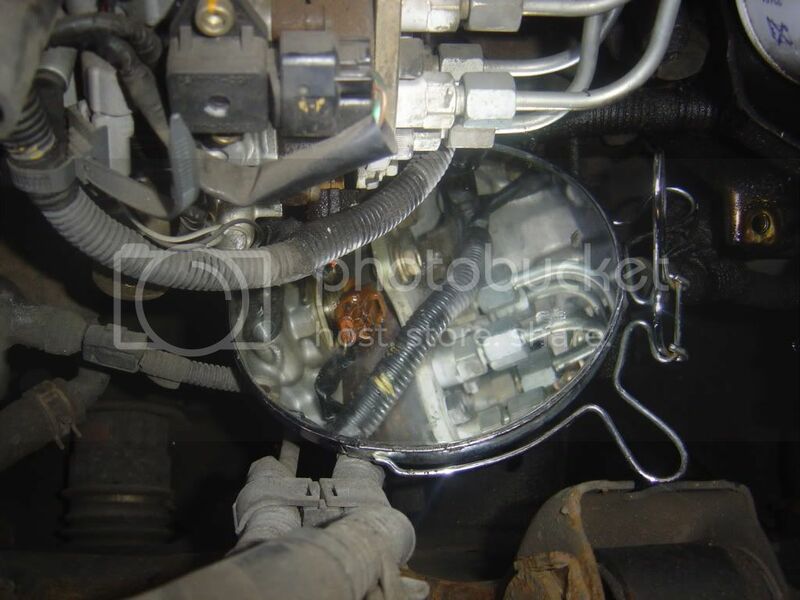 These are the pictures that Amazon 100 was trying to post, the part is known as the Timer Control Valve, bought mine from kent diesels, and as you say it was £200, but I fitted it myself, bit of a pain because as you see you need a mirror as it's right under the end of the pump. Can you see where the leak is coming from - is it just the O ring or is it the casing coming apart. Not sure if it was just the O'ring leaking, but the credit card is lighter by £200, so might be worth a try to replace it if your up to doing the job twice, you will need a shaving mirror or similar to see what your doing under there. I'm going to take tw modes of attack to this - first is to replace the O ring and also silicon around any potentially leaking joints in the case (I have some high temp silicon I can use), second is to seal the end of the wiring loom - again with Silicon. I figure the first should seal the leak, the second should stop any leaks coming through the wiring loom hopefully. If that doesn't work then will have to change it but to save £200 at the moment would be a real bonus. I know how you feel mate, did that and then the anti roll rubbers then O/S/F ball joint, now the upper one needs doing, never ending spending and skint. Only just realised you sorted the pictures out. Thanks for that. 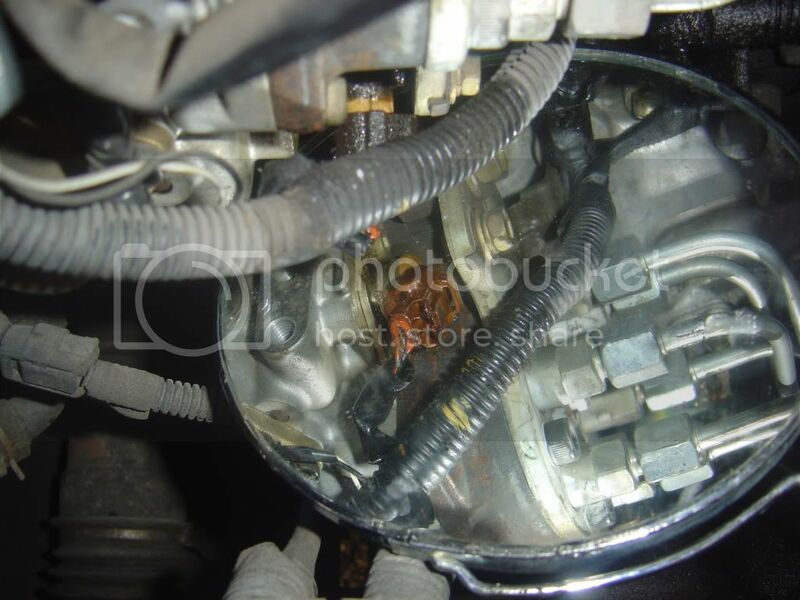 In my case the diesel appeared to have been pushed up through into the electrical connectors. I had to take the socket of the ECU end behind the glove compartment to allow a drip, drip, drip process to take place. Shook it a few times in a 'whipping' fashion to try and get rid of as much diesel trapped in the inner core of the electricl wiring. Sprayed some brake cleaning fluid along the wiring and dried it all off with a rag. Since it was replaced, fingers crossed it hasn't shown any signs of leakage. No problem with the pictures, it helped me a lot seeing them. I'm going to be doing mine tomorrow, fingers crossed I can fix it without having to replace it. How did this go? Is it possible to fix the leak of the TCV? Yes got it sorted in the end - got a new TCV and installed it, pretty easy job actually but then my hands were trained in fixing Mini bypass hoses back in the day so they bend 4 ways at once . I haven't yet had a look at the TCV, been too occupied with other things but I'm thinking it's not possible to fix - must take a look though, it's been sitting on my desk for a year since I replaced it. When I replaced the TCV it took about a week for the cables to stop dripping but they are completely dry now. So much for my local Toyota dealer saying it was the air conditioning pipes leaking AC lubricant.